The Kentucky football regular season may be over, but that’s not stopping them from proving this is a special group both on and off the field. 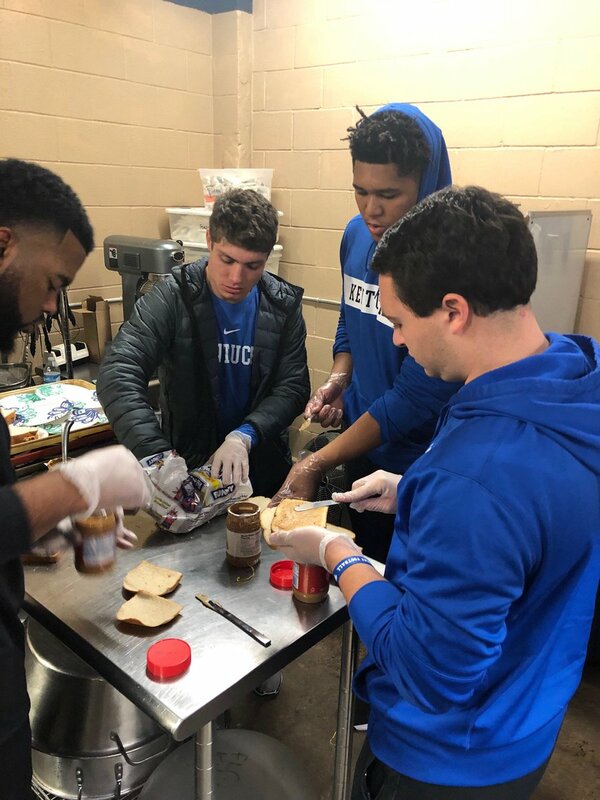 Before bowl practice starts rolling again on Friday, the Wildcats used their time off to give to those in need. This evening, several Wildcats went to Dining with Dignity, a part of Lighthouse Ministries, to help prepare and serve dinner for some very special individuals. You’ll never believe who helped orchestrate the entire event…? 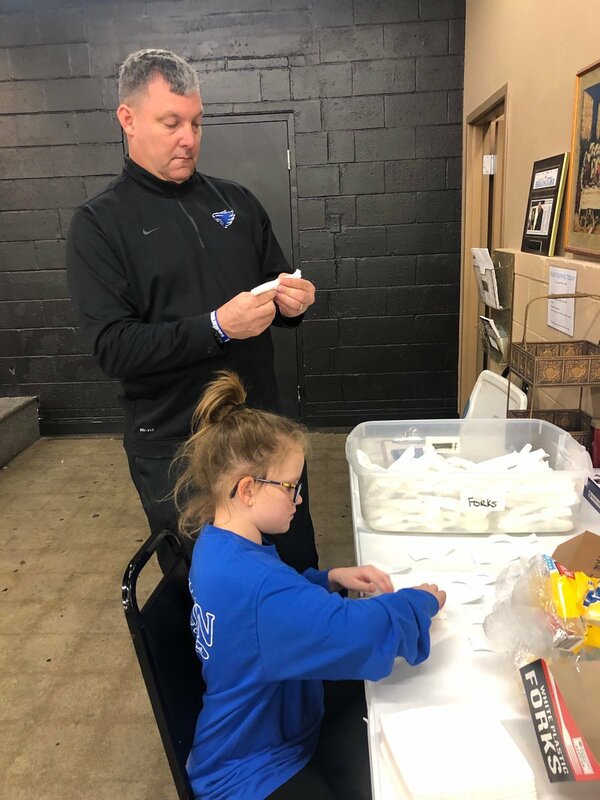 You guessed it, former KSR employee and current UK Director of Player Development, Freddie Maggard. Keep up the good work, Wildcats!